I started out my life being physically abused and was taken in by an adoptive family at 6 months old. At age 10 I was sexually abused by my adoptive brother. I married at age 15 to emancipate myself from the family to get away from the abuse. I also was using legal and illegal drugs/alcohol to bury the emotional pain of being abused. By age 27 , I was a single parent and pursuing my Bachelors degree in Nursing. While attending college I met my third husband , his name was Mohammad. We did drugs daily, and soon I was taking 60 Vicodin/day. We were arrested for false prescriptions charges and decided to flee to Iran. 1998 my life changed forever. I moved to Iran, was treated like women are treated in these foreign countries (like slaves/second class citizens AT BEST! Upon arriving at the airport I was told that I needed my husbands WRITTEN PERMISSION to leave the country, this law and many others I became aware of, too late!! My husband also transformed into this monster I never knew he could be. I was informed that my husband i.e. Mohammad had terrorist ties and the Immigration Consulting Business we ran was a front so that he could obain false travel visas for anyone willing to pay the high price. In 2001, I heard by rumor that something was going to happen in America on 911. My husband had terrorist ties, so we knew SOMETHING would happen, we just didn't know where or what. On Sept. 12, 2001 we tried to flee Iran in case the USA retaliated against the Middle East. We were picked up by a paramilitary group and put into POW type camps, where we were raped, tortured and starved for SIX weeks. I escaped the camp, and once I convinced Iran to allow me to travel to Dubai,UAE, I made contact with our USA Embassy there, and they flew me home. My book, "Lori's Song" won a READERS FAVORITE AWARD within it's first year of being released for publication. Also have received MANY FIVE STAR REVIEWS! 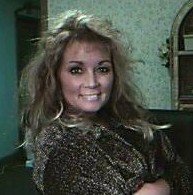 In October 2008 I completed an inpatient rehabilitation program for substance abuse. I have been clean since then, and although I do have cravings and desires at time...I have to tell myself...we have TWO choices in life...to LIVE it or EXIST in it....I am choosing to LIVE it!!!! Received an elite FIVE STAR REVIEW from the Midwest Book Review. 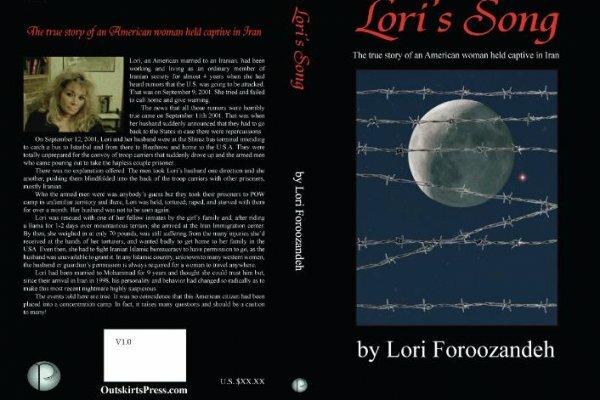 Published my first book, "Lori's Song" in 2009. This is my true story of being held captive in Iran after 911. It involves my experience of living in Iran for almost four years, and being married to a terrorist and not knowing it. Very informative, inspirational, motivating, and GRAPHIC VIOLENCE. I've been speaking every month to the Rehab (substance abuse) unit at Brighton Hospital/St.Johns in Brighton, Michigan. I speak about my book and the events that led up to my final horror of being held captive in a POW type camp in Iran after 911. All through my life I've suffered from some type of addicting substance, since age 13. My story not only relates the problems I've suffered throughout my life but how substance abuse figured in throughout my life and these events. This will be my first public speaking event ...gotta start somewhere:) Various radio interviews as well as newspaper interviews. I lived in Iran for a period of four years. I went over there ignorant of the laws, culture and socialization practices. The first mistake I made was trusting someone without investigating such a big trip without knowing the laws of the country. I was in love so I believed that my husband couldn't possible be the person he manifested into once we arrived in Iran. My first shock was that once I landed in Mehrab Tehran airport and was going through customs, I was told if I ever wanted to leave the country I would need my husbands written permission.......(then go on from there regarding my horrific experience in a POW type camp that I was put into the day after 911, and to fill the audience in on traditions and how to socialize (legally) in Iran. First I want to say that we NEVER QUIT LEARNING.. and whether your role is to be a teacher or a student, they both are symbiotic relationships. People ask me what speaking "STYLE" I have....My answer: I just share my stories...I'm a SURVIVOR not a TEACHER....You can't TEACH people to get better, but you can make them AWARE of support and resources available. -Start out with my own personal story. -Tell them what resources I had and didn't have. -Make resource material available Ultimate Goal is to educate and inform through personal expression which familiarizes yourself to the audience on their level.